Hey guys I know that its been a lonnnggggg time since I have reached out to you via my blog, but I have been staying very busy! I truly miss you guys and I hope that I wont ever stay away that long. Many of you that follow my blog are also following me on Facebook and are part of my Facebook group, Sew Passionately Creative, so you have the opportunity to see what I have been up to lately. So I have been doing some soul searching and I have come up with the fact that I am a teacher. Now I didn’t and still don’t want to say that out loud because I don’t want to attract the wrong job or career path, but I know that’s what I’m good at doing. So instead looking into the public school system for a career choice I looked into my hobbies and other passions to see if I could combine my love of teaching with my creative passions. So I saw this other young lady having classes at her home for sewing and that’s when I thought about me and my passions. Why not teach people to sew, but make it fun. I contacted the young lady mentioned above and told her what I was planning to do and she was so encouraging. I really appreciated her encouragement! So I started offering Sip & Sew courses. What is a Sip & Sew? 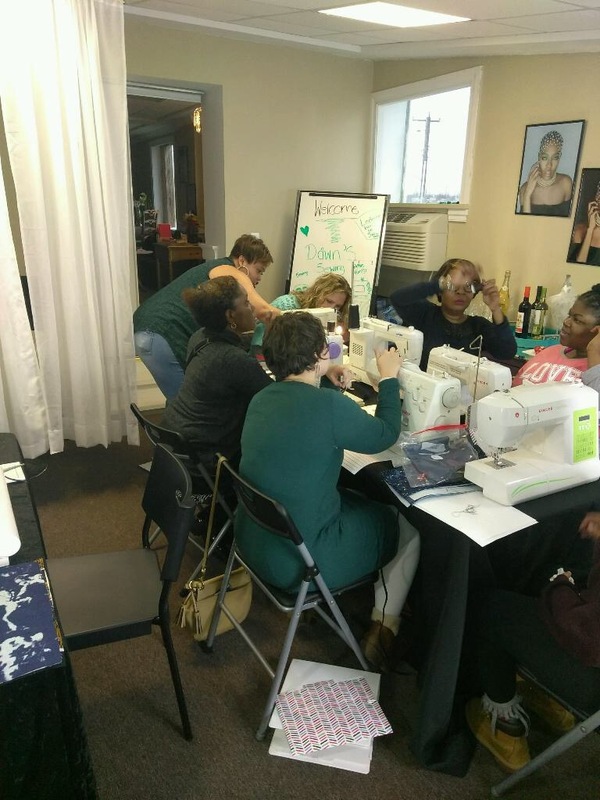 A Sip & Sew is a party or gathering of about 10 people where they are taught to use a sewing machine and then create an item. At this particular Sip & Sew the attendees created a fold over Clutch purse. Most of the attendees never touched a sewing machine. We took our time. They learned how to thread their machines, remove the bobbin, wind the bobbin, sew straight stitches, and pivot when sewing. After the class students partake of a glass of wine and refreshments. They did an amazing job on their clutches! 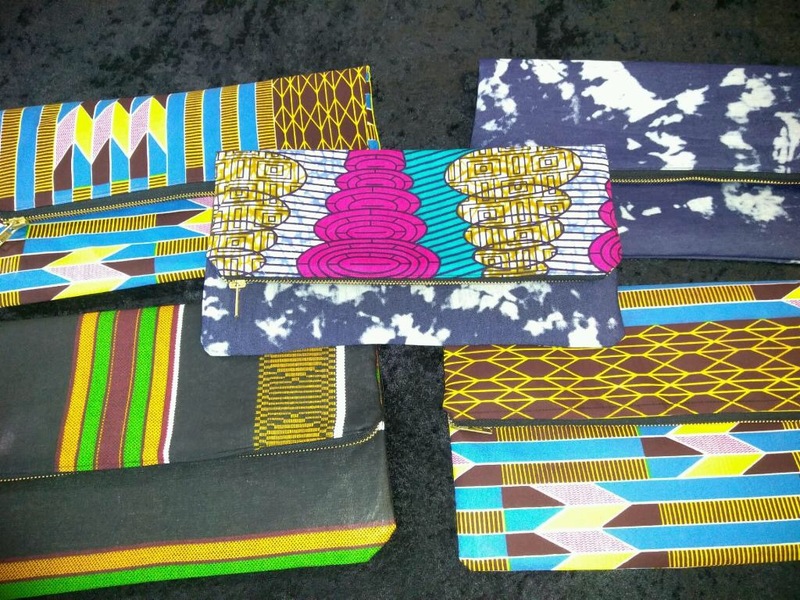 They are still getting compliments on their clutches from others. What did I learn from teaching this class? I learned that I LOVE to teach! I’m good at it and it is fulfilling. I also learned that I should teach a beginners class so that the attendees can have a chance to practice the art of stitching more. Therefore, I created a Sewing 101 Sip & Sew. This will give the attendees more time to practice stitching. They will still leave with an item, but it will be smaller and easier to create. I also created a Tween Sewing Class, SEWful of Tea. This class will allow youths to tap into their creative genius early and hone in on a wonderful skill. It seems that the Sip & Sew Clutch Party class is in high demand, so I have scheduled another one on March 25th, I hope to see some of you there. You can register here. 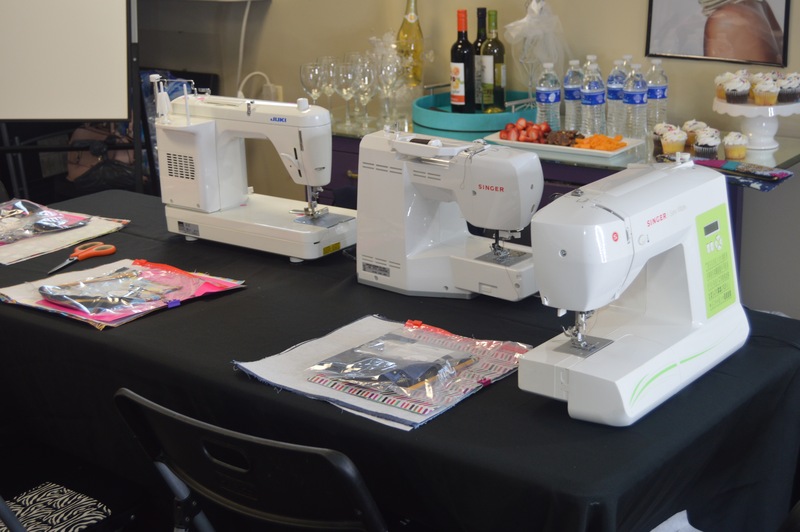 If you would like to get to know your machine a little better why not come to the Sewing 101 Sip & Sew or if your tween wants to sew check out this class. Previous postI BUILT a TABLE!! !